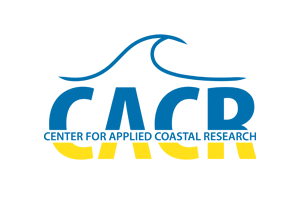 Jack Puleo, associate professor of civil and environmental engineering, organized the fourth annual international Young Coastal Scientists and Engineers Conference of the Americas, held Aug. 21-23, at at Dauphin Island Sea Lab in Alabama. Attending were 45 young researchers and engineers from North America, Latin America and South America, giving them a chance to collaborate and receive feedback on communication and presentation skills. “We created this conference to be where young folks in coastal science and engineering can go to a venue where maybe there’s a little less intimidation to present preliminary work, and mostly for a networking aspect to meet the coastal scientists and engineers that they might be working with for the next 20 or 30 years,” Puleo said. Six students from UD attended the conference.